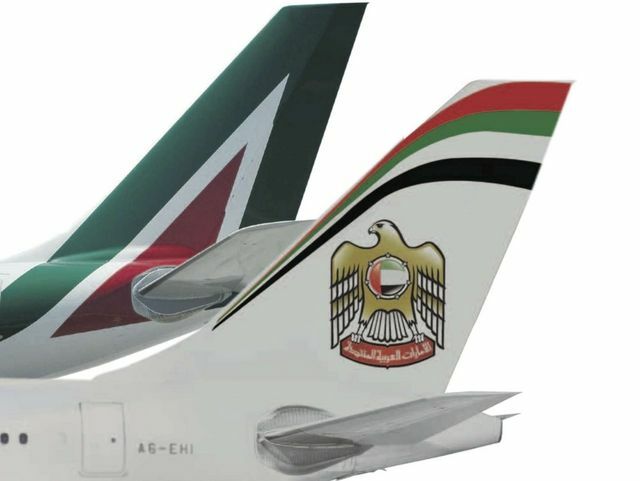 “After much effort, a year of work and many late nights, we did it,” Alitalia CEO Gabriele Del Torchio announced on August 8, 2014 as Etihad purchased almost half of the ownership of the permanently failing Italian flag carrier, Alitalia. The money paid? A cool 560 million Euros. Examining Alitalia’s track record is pretty astonishing to outsiders of the aviation sector, but par for the course for the industry. Losses last year were 569 million euros (double from 2012). It has only ever made a profit 5 times since 1968. The laughable ‘rationale’ for the purchase is that Etihad will now have greater access to Europe through Rome (and to a lesser extent Milan). Etihad CEO, James Hogan stated “For Etihad Airways, this is a strategic, long-term commercial investment. [W]e are committed to build a reinvigorated Alitalia as a competitive, sustainable and profitable business that can operate successfully in the global air travel market. We believe in Alitalia. It is great brand with enormous potential. With the right level of capitalisation and a strong, strategic business plan, we have confidence the airline can be turned around and repositioned as a premium global airline once again.” The statement is completely at odds with the financial history of the airline. Astonishing. Truly astonishing. Etihad’s financial irrationality with Alitalia is not new. They also acquired a minority stake (29%) in another airline basket case – Air Berlin. They have made losses for four years in a row since 2010 and in 2013, their losses were double those of 2012. Persistent losses have wiped out airberlin’s book equity, which stood at -186 million euros at the end of 2013, while net debt rose to 796 million euros. Airberlin has not offered any profit projections for 2014, but has set targets for capacity growth. It plans seat growth of more than 3% (CAPA 2014). Funny. The salary of the CEO of Latvia’s national airline, Air Baltic has increased by 65% in one year, records show. Information obtained from the Latvian State Revenue Service showed that in 2012, Martin Gauss’ annual salary was 385,154 euros. In 2013 the figure jumped to 637,296 euros. The company made a net profit of only 1million Euros in 2013 meaning Mr. Gauss’ salary was equivalent to 2/3 of the company’s annual profits. Martin Gauss famously resigned from the former Hungarian flag carrier Malév after his salary was capped by the state-owned former airline. Austrian Airlines has registered profits on only three occasions since 2004.